These links probably will disappear soon anyway. The fact that I put this under a spoiler must be enough to balance this, I think. Even if they're terrible we still haven't lost anything. I don't like their boasting about this franchise, this is a bad sign. I can't imagine, what will happen ant how they will change the carefully picked up plot lines of the original, which is one of my favorite games (HW2 especially). This frightens me a lot. Not entirely, but in the area of space strategy. I hope, at least, they will learn from their errors eventually, until HW3 isn't in their plans. By the way, what news about Hardware Shipbreakers? I guess nothing for the last month. The fact that I put this under a spoiler must be enough to balance this, I think. Embedded Youtube videos take time to load and cause lag while they're loading, and uploaded images occupy the very limited disk space on the site. Spoilers do not help either of these things. Also, one image - or even just text - would have been enough to express yourself there. Multiple images and videos is very excessive, bordering on spam. Even if they completely ruin it, we will still have the original games to play, so no bad can come of their efforts. The worst thing that can happen is that they make bad remakes and we don't play them. But then we can just go back to playing the originals like we've been doing for over a decade. No harm done. I don't know, my browser works different. And these images occupy the volume of one more SE screenshot. Anyway, I see you're a bit off balance because of the volume of my expression, but that's just exact amount of my outrage and I want to be honest with my feelings. But aftertaste remains, as they say. Aerospacefag, it started out related to the topic and then it just went completely off-topic. On a more related note, 0.21 of KSP has been great so far. Awww... 0.21 is too buggy for me to play how did you get to make it play? That first plane is ridiculous (in a good way). In 0.21, I spent three hours with two planes. One was high altitude (20,000m) the other was at about 5000m. Jeb was in the one on top. I would EVA him and try to use his RCS to get him into the plane on the bottom. The closest I got 370 meters. No screenshots, but once I start getting closer I'll take videos or screens. I finally got the new update. 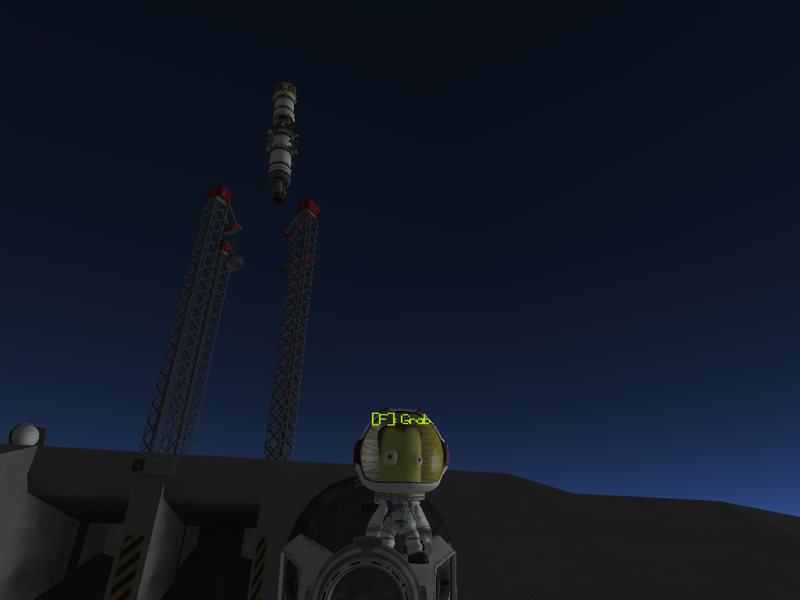 For KSP. It's alright. Loading time is lagged, and parts freeze in mid air. This new update seems rushed to me. Is that the roof of the VAB Harbingerdawn? Rockstar relased a demo for GTA V! Finally we can try this wonderful piece of software! I half expected an actual demo. how did his computer survive that until the hammer?! Man, I just love Howtobasic's videos!